Take Shelter, My Week With Marilyn and Shadow Dancer had solid premises and the potential to be very good films. Alas, they all shared the characteristics of being flat, lacking in character development, and running out of steam long before the end. It resulted in their latter scenes being overly predictable or trite, or both. Similarly, despite being a decent film, Philomena suffers from the same traits. Young Philomena (Sophie Kennedy Clark) holding her son tightly in the sole hour a day that she is given free time at the nunnery. Philomena is a British drama set in 2003. The movie is based on the true story of how an elderly Irish lady, Philomena Lee (when young, played by Sophie Kennedy Clark; when old, by Judy Dench), came to find her son, Anthony (when adult, played by Sean Mahon). Anthony was taken away from Philomena in the 1950s when he was a toddler by the nuns at a Catholic nunnery, while Philomena lived there as punishment for her sin of becoming pregnant outside of wedlock. But now she has the help of a journalist in Martin Sixsmith (Steve Coogan), who has just lost his job as a Labour government advisor and a BBC reporter. He wants to write a story that will reinvigorate his career (as a Russian history author of all things) and helps Philomena to find out what happened to her son. Yet, Philomena rapidly feels tired, which is disappointing as one expects more from it. The movie is only 98 minutes long, but it feels longer. All the best jokes are in the trailer, so they lose their panache when said in the film. But in general the humour, which is far from dumb or slapstick, lacks the cutting edge of Woody Allen’s recent Blue Jasmine. 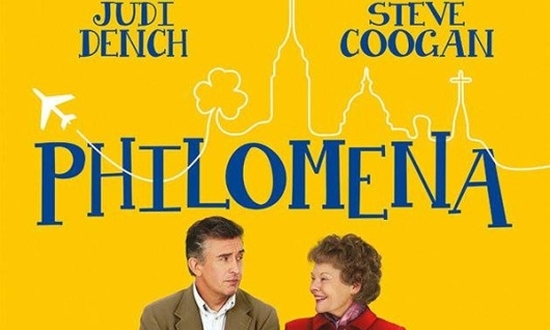 Philomena in her senior years (played by Judi Dench) talking about her past with Martin Sixsmith (Steve Coogan) in the Irish countryside. Moreover, Philomena has little character development and, like My Week With Marilyn, none of the characters seem to go anywhere either. This is despite the characters and the movie taking the correct (and predictable) steps towards the film’s (inevitable) conclusion, which is a strange and an unrewarding sensation as a viewer. The lack of character arches is a real pity as some of the characters had the potential to be very interesting. Consequently, the acting lacks meat, even though all of the performances are good. Judi Dench is fine as the quirkily charming, if socially odd Philomena in her old age. But Dench’s performance is undermined by the fact that no-one believes she’s Irish. It does not help that Dench’s accent in the film flips between that of a Dubliner and the Queen’s English. In addition, as Dench is playing a role not too dissimilar to many of her past performances, audiences are invariably reminded that she’s English (in case they needed any reminding). Steve Coogan plays decently as the disillusioned (and discourteous) man trying to find his way again after becoming unemployed in middle age. And Michelle Fairley, playing in a very different role to the dutiful Lady Catelyn Stark in Game of Thrones, gives a good and amusing performance (with the little screen time she has) in her native Irish accent as the ruthless editor, manipulating all the facts that Martin Sixsmiths relays to her in order to create a more enticing story for her newspaper. 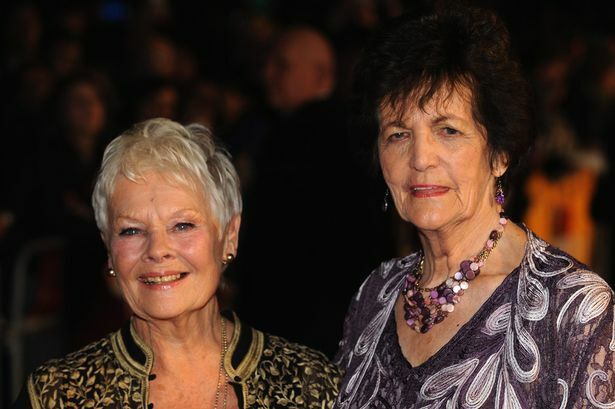 Judi Dench (left) with the real Philomena Lee (right) at the premier. However, arguably the best performance of the film is from Sophie Kennedy Clark, as the young Philomena. In spite of the harsh living conditions in the nunnery, Clark demonstrates a mother’s true happiness when she holds her young son in her arms, as well as a mother’s brokenness when her son is taken away. Like Fairley, Clark is not in the film for very long. But the scenes with her on screen are the only emotional ones in this otherwise quite dull movie. All-in-all, Philomena is a fine film. The movie provides audiences with a decent insight into the mean, inner workings of Catholic nunneries in Ireland in the 1950s, and has a good cast that deliver their lines well enough. Yet, Philomena lacks energy and runs out of puff long before its running time is over. Likewise, the film’s humour, general flatness, and lack of character development makes viewers feel like they’re cutting meat with a blunt knife. All the key ingredients to Philomena should have been sharper and more engaging as the film’s premise is a fascinating one. This entry was posted in Based on Real Events, Drama and tagged anthony lee, based on a true story, catelyn stark, film, game of thrones, ireland, journalist, judi dench, lady, m, martin sixsmith, michelle fairley, nunneries in ireland, philomena, philomena lee, review, skyfall. Bookmark the permalink.